There are hundreds of domestic / house cleaning companies in Canberra, but only a few make the TrustedCleaner grade. TrustedCleaner specialises in finding the top local cleaning companies. Use our (free) service to hire your next domestic cleaner and avoid the risk of bringing a dodgy stranger into your home. We are currently in the middle of fully verifying Canberra house cleaning companies. We apologise for any inconvenience this may cause. While we continues our verification process, please consider some of the home cleaners we’ve short-listed below. Decent Cleaning will do more than just give a home the basic once-over, they can also do deep carpet cleaning, window washing, upholstery stain-removal and tile-grout sterilization. 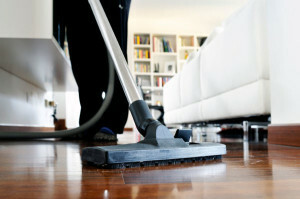 Free-quotes and frequently updated specials are available at this leading Canberra house cleaning company. All home-owners receive a 10% discount if booking online. Taking inquiries until 9PM every day, Canberra Master Cleaners is available to field general questions and quote requests. Booking and general pricing is available online, with basic domestic cleans running in the range of $90 to $180. Once-off or recurring hires are available, as are gift vouchers for those looking to spoil family and friends. Owned and operated by Kamal Mohamed, you are guaranteed a personalised and friendly service. He stresses his attention to detail and commitment to excellence in every hire. Free-quotes can be obtained by dialling 132613 or filling out the “contact request” form available online.